Replica Garnish: Apple Bird Garnish Decoration. Home > Fake Fruit and Vegetables > Replica Garnish: Apple Bird Garnish Decoration. Replica Apple Bird Decoration. 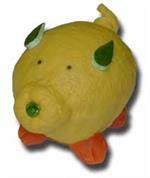 Replica Lemon Pig Decoration. Replica Carrot Island Decoration. Select ... Apple Bird Garnish $48.25. Price: Decorative apple swan $51.00. Replica Apple Bird Swan For Display. Selection Of Replica Garnish Displays. Price: Various kale to choose from. Replica Kale For Salad Bar Display. A picture from one of our customers. 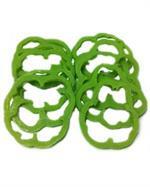 3" replica bell pepper rings with 5 colors to choose from. Plastic Purple Kale - 5" Oriental Kale For Display. Price: Pack of 12: $75.00. Washable 5" replica purple kale leafs. Perfect for salad bar and sushi bar display. 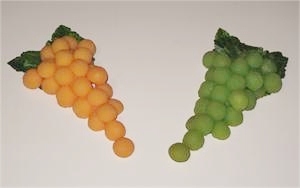 Replica Clusters of Cantaloupe and Honeydew. 8" replica grape clusters of honeydew and cantaloupe for food area displays. Replica Bell Peppers Pack of 5. Price: Pack of 5: $47.50. Pack of 5 color peppers. Realistic replica bell peppers. Decorative replica cucumber rose with cherry tomato for display. Price: $125.00 for all 3. 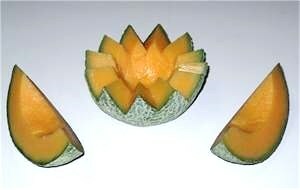 Replica cantaloupe slices for display. 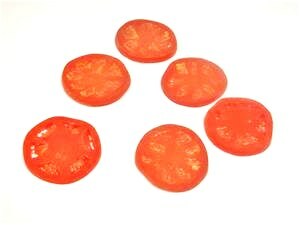 Replica Tomato Slices Pack Of 6. Price: Pack of 6 slices $52.80. 4" round replica tomato slices. Replica Tomatoes: 4 Styles To Choose From. Price: All 15 various tomatoes $75.00. 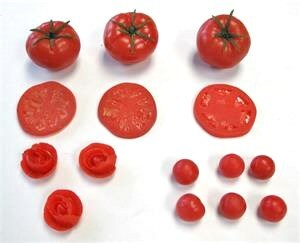 4 of our replica tomato styles. Whole tomatoes with stem, sliced tomatoes, decorative tomato roses and cherry tomatoes. Price: Various Replica Vegetables In Stock. 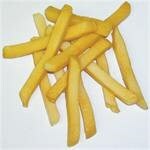 Click here to see our replica vegetable selection.